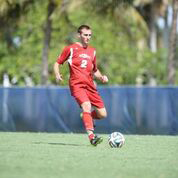 FAU Soccer Camps are designed to teach individual skills and fundamentals of the game. Our primary focus is on development while providing a fun and positive experience for young players. Campers are grouped by age and skill level and are offered half day and full day camp options. All coaching is conducted by the FAU men’s soccer coaching staff, players, and local coaches. All campers will receive an official FAU Soccer Camp T-shirt. Camp Store and Camp Bank We will have a camp store that sells snacks, sno-cones, and ice-pops and will be accessible to your children throughout the camp. We strongly recommend campers to use our camp bank, which can be set up at check-in, so they do not need to carry cash. With the camp bank you have the option of leaving any amount of money for your child in their camp bank and ensures that your child does not lose their money during camp. Your child then charges against the money in their bank during the week for snacks. At camp check-out, we refund any unused money in an envelope. It is up to the parent’s discretion how much money they decide to put in the bank. Lunch & Snacks Lunch will be provided for Full Day Campers (Monday through Thursday). Snacks will be available for purchase in the camp store. What to Bring - Soccer cleats, shin guards, sneakers, water bottle, snacks, sun screen, backpack, soccer ball, swimming suit, and towel. Trainer - A Certified Athletic Trainer is on site at all times. This camp provides an intense training environment for those seeking to play at the collegiate level. 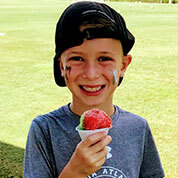 The sessions focus on speed and agility training, technical development, specialized goalkeeper training, as well as small sided and full field games. Each camper will be thoroughly evaluated by the FAU coaching staff. The schedule will also include a college recruiting seminar. Meals Campers are responsible for all meals. There are multiple options on campus as well as the surrounding areas.